A £52m pot secured by the Sheffield City Region Local Enterprise Partnership (LEP) is set to be split into two funds - one to help grow existing businesses, and one to help secure inward investment. Secured through the Growth Deals with central government, the funding builds on the £32m "Unlocking Business Investment" programme, which was over-subscribed and on track to create approximately 2,000 sustainable, private sector jobs. The city region programme used money from the Regional Growth Fund (RGF), the government's main source of funding for economic development and regeneration that supports private sector investment and job creation. Since its launch in 2010 it has invested £2.85 billion to help local businesses grow and take on more staff across England. The £52m is part of the £350m Local Growth Fund (LGF) allocation. Half of the fund would be used in a similar way to the existing programme, used to "unlock" direct business investment, principally within SMEs, the footprint of which must be sustainable, private sector employment in the Sheffield city region. Previous business investments include capital projects which involve investment in equipment, machinery and tools, or alterations to land and/or premises to meet the needs of the business. Grants have also been used to support new research and development. 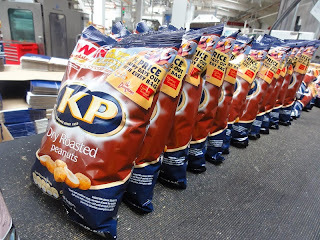 Rotherham firms securing funding for capital projects include KP Snacks, Martek Marine, Pyronix and SVM Europe Ltd. The other half of the fund is to be used "to support significant inward investment within the Sheffield City" and any local authority "promoters" would be expected to repay an element of any grant provided. Grants up to £2m are set to be approved by sub "investment panels", with larger grants needing the approval of the full Combined Authority, which, now established, can take over as the Accountable Body. The outline investment strategy for the programme and the required delegations are set to be approved at the next meeting of the Sheffield City Region Combined Authority. Access to finance is a key pillar of both the LEP's Strategic Economic Pan and as part of the city region's Growth Hub, a "Centre of Expertise" will become the gateway to a range of finance and investment products, improving coordination and helping businesses find the package of loans and grants they need to be able to grow. The LEP continues to work to ensure that the right products are in place, working with other LEPs to explore a future JEREMIE initiative and integrating its own funds and structural funds expected to come via the European Union. Well done Rotherham Business News for getting this apparently secretive information- even the LEP itself haven't published this on their own website yet! Let's hope the Sheffield City Region IT systems hold up this time round when they invite and evaluate online applications... and also let's hope the LEP will acknowledge there's traditionally and currently a gap in funding of smaller value growth projects- many small firms could create new jobs as part of their growth with a project investment as modest as £10k to £50k, but they have been excluded for a while with schemes that only consider projects starting at £50k or even £100k. Doesn't sound like we have long to wait.